Coravin was founded by Greg Lambrecht, a medical device inventor and executive with a passion for wine and innovative technology. Greg was inspired to bring those two worlds together to create a product that allowed him to enjoy glasses of wine without committing to the whole bottle. 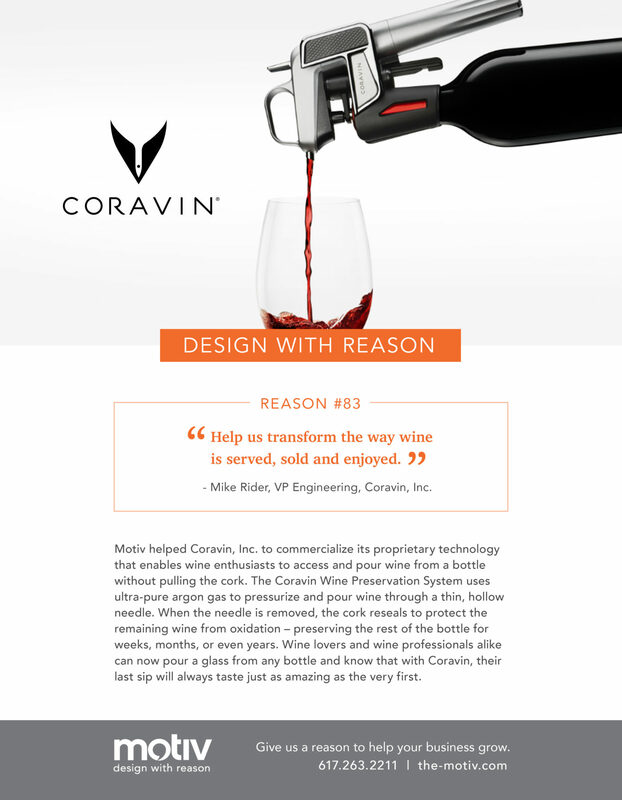 Motiv helped Greg commercialize the Coravin System, so that Greg could share his transformational product with wine enthusiasts, restaurants, wine stores and wineries around the world.